(6/10) In a nutshell: Tales of Tomorrow aired on ABC in the US from 1951 to 1953 and was the first exclusive science fiction anthology series. Adult, intelligent and genuinly unsettling scripts are intermingled with more staple mystery and sci-fi fare. The live broadcast sets limits for direction, but genius camera work and editing sometimes surpass these limits. Leslie Nielsen dominates the cast, and watch out for the masterclass in method acting between Rod Steiger and James Dean. 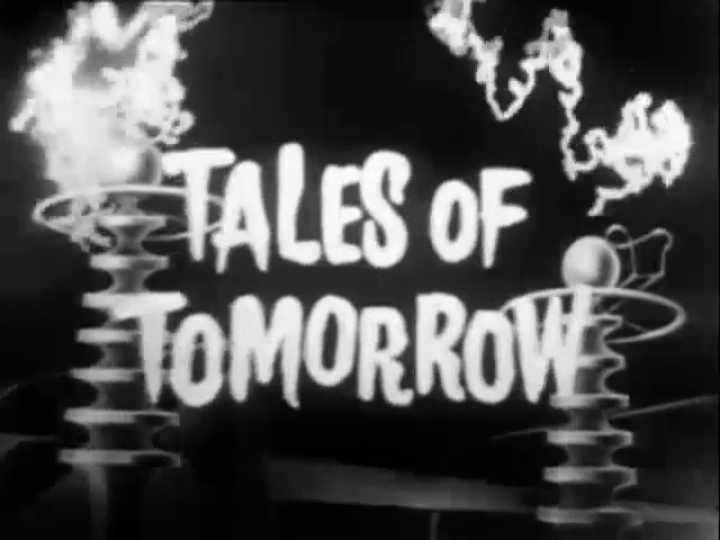 Opening credits for Tales of Tomorrow. 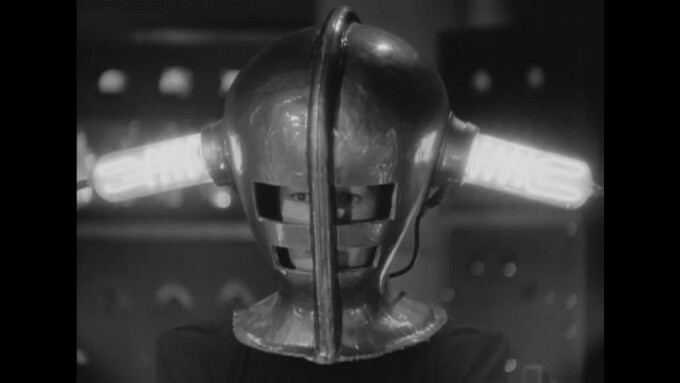 (5/10) In a nutshell: Arguably the first anthology TV show to feature science fiction, Lights Out was adapted from a popular horror radio show in the US in 1949. Broadcast live with a varying degree of quality, very light on sci-fi and quite heavy on traditional ghost stories. Lights Out sported an impressive roster of actors, but the direction and originality never quite reached the same quality as rivalling shows that popped up in the early fifties, like Out There or Tales of Tomorrow. 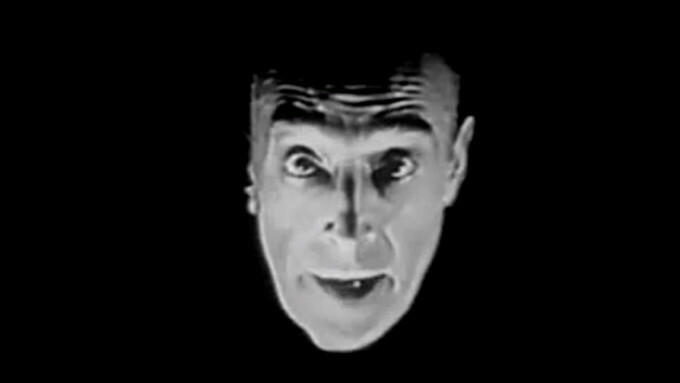 Frank Gallop as the eerie presenter of Lights Out. (4/10) In a nutshell: Universal’s horror stars gang together for the franchise’s second monster bash in a film that is a mix of good and mad. There’s too much going on in a too short period of time, Dracula is thrown by the wayside and the plot holes are big enough to fill a stadium. But there’s also a dash of originality and some first-class acting in this 1944 film. 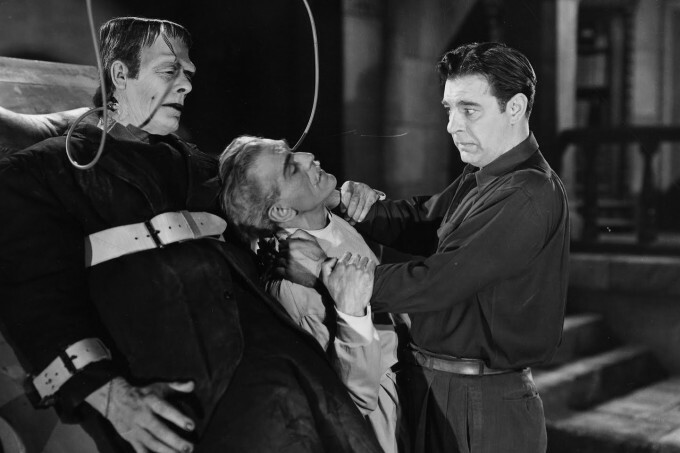 Glenn Strange, Boris Karloff and Lon Chaney in House of Frankenstein. (6/10) In a nutshell: The fourth of Columbia’s mad Boris Karloff films, this 1941 effort is probably the best in the lot, with some cool sci-fi designs, good atmosphere and splendid acting. Still, the formulaic mad scientist tropes remain and the lack of a decent budget is evident. Directed by Oscar winner Edward Dmytryk. This is how you made contact with the dead in 1941. You used a medium (Anne Revere) and stuck her in a brass fish bowl with lamps on the sides. (5/10) In a nutshell: One of five films that Columbia made with Boris Karloff, more or less from one and the same script, this 1940 cryogenics film is competently made and quite enjoyable. At least you’ll get a few chuckles out of the utterly silly science, like doctors reviving patients from cryogenic stasis with pots of hot coffee. Boris Karloff and the stupid authorities arguing over a frozen man in a promo still. 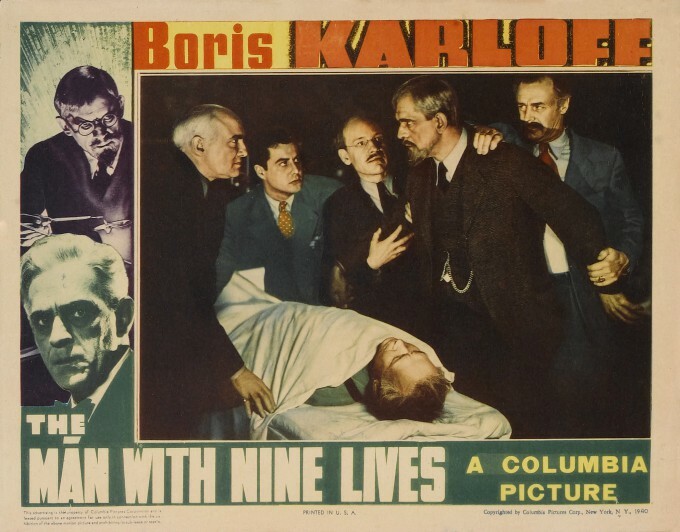 (5/10) In a nutshell: Boris Karloff shines as the lone star in his first of five mad scientist films for Columbia Pictures B-movie unit in 1939. Made on a shoestring budget this medical sci-fi turned old dark house revenge thriller is entertaining but unimaginative. 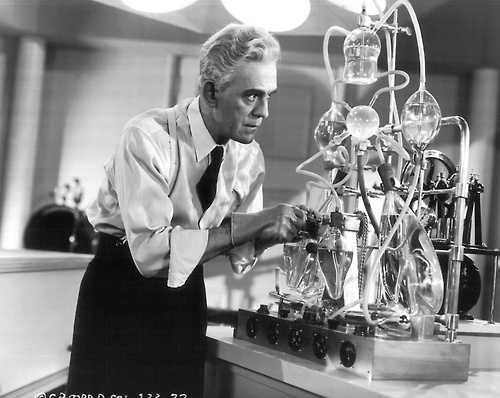 Karloff and his artificial heart in The Man They Could Not Hang. If you don’t know Mr. Karloff by this time, we will explain: He is the man whose funerals are never final. You lay a wreath on Boris in one corner and he is certain to appear in another, full of obscure, graveyard resentment, sworn to get you, if it’s the last thing he does. (6/10) In a nutshell: Bela Lugosi’s Ygor is the best thing to come out of the Universal horror stable since The Bride of Frankenstein, but unfortunately the rest of The Son of Frankenstein isn’t really up to the same standard as its predecessors. The expressionistic style is stunning and the acting good across the board, with team members Boris Karloff, Lionel Atwill and Basil Rathbone joining forces with Lugosi. But we mourn the reduction of Frankenstein’s monster to a mute, brute prop. 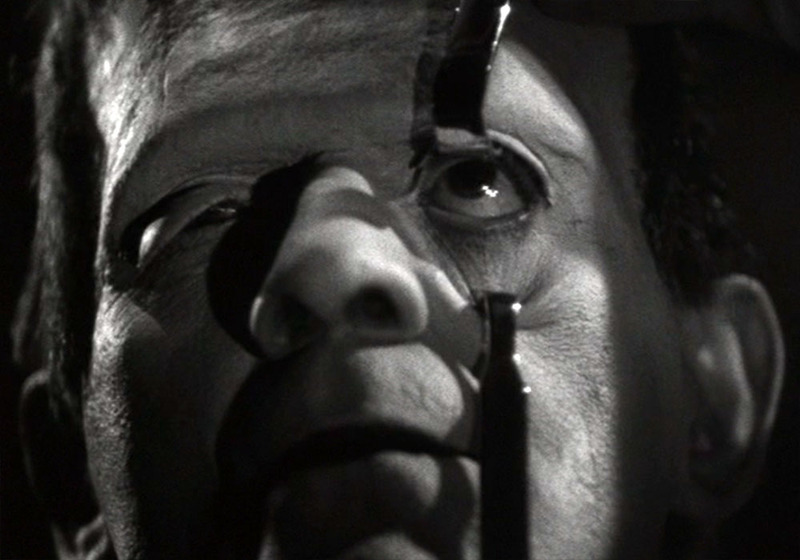 Karloff in close-up in Son of Frankenstein.